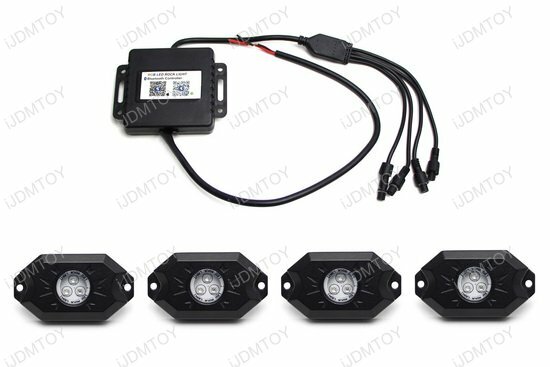 A necessary add-on if you're going off-roading and good for all Jeeps, Trucks, SUV, Off-Road Boats, and more! 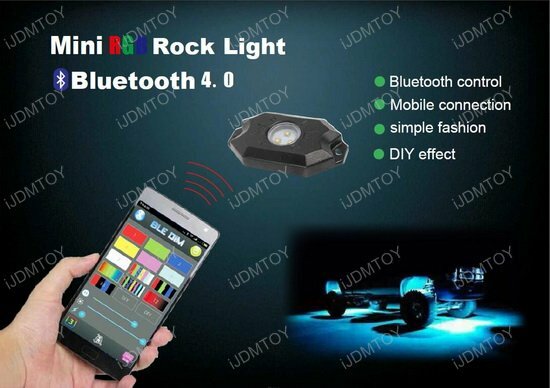 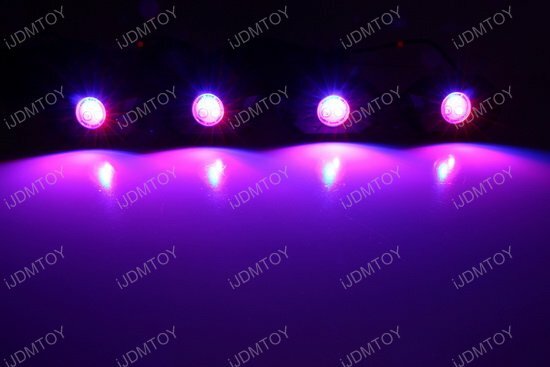 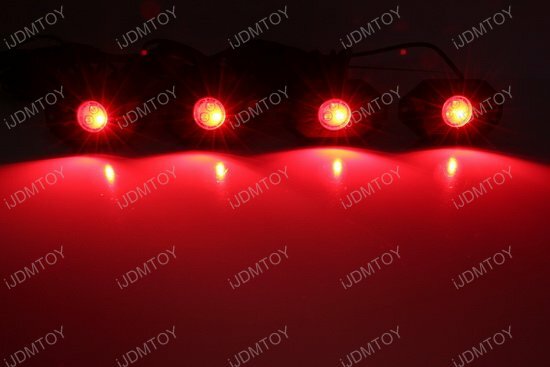 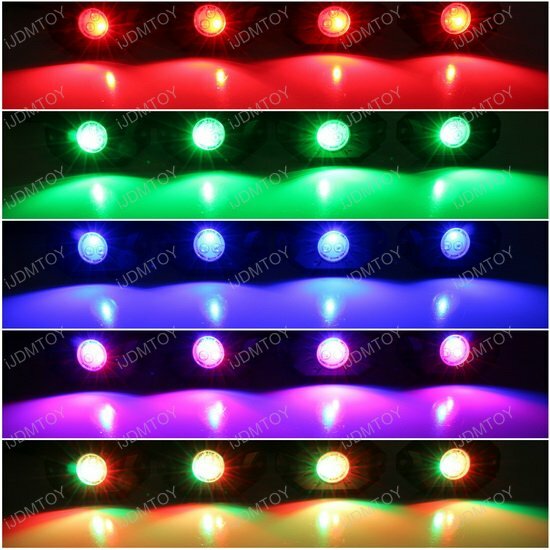 Q: Is this LED rock light kit water proof? 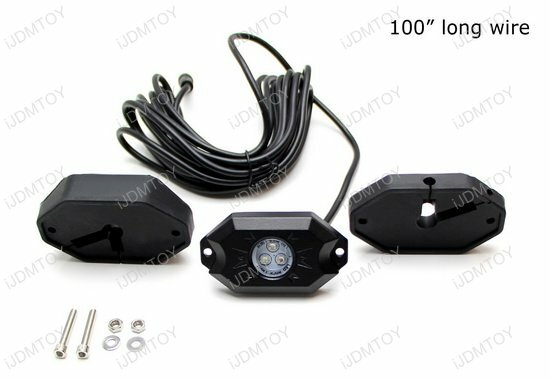 A: This high power LED rock light kit is designed to be water resistant, meaning you can use it under all weather conditions. 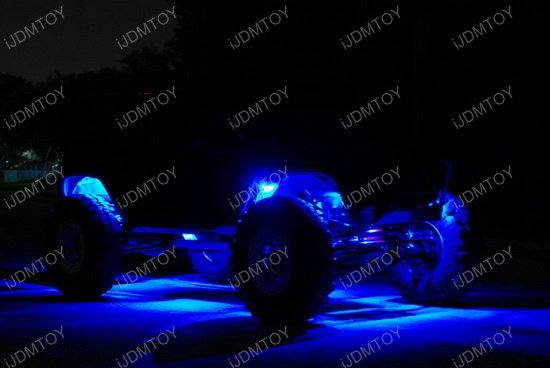 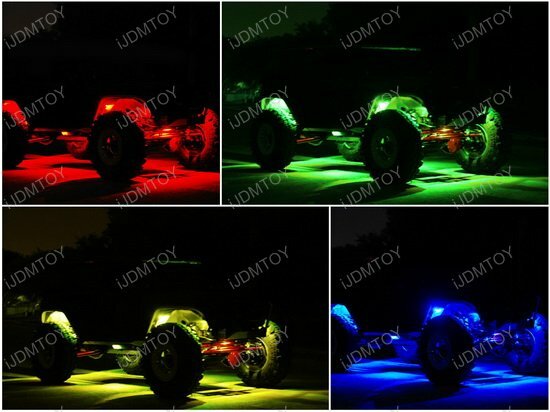 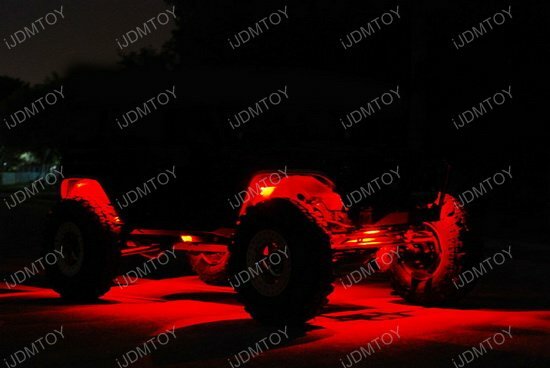 When you are off-roading on uncharted terrain and climbing steep rocks, don't forget to grab a set of LED Rock Lights! 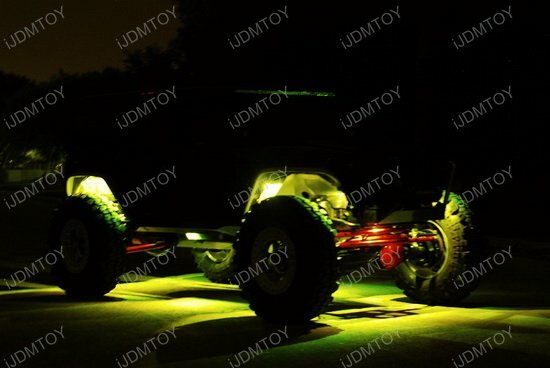 What you want is an indestructible set of lamps that complements the rugged Jeep, SUV, truck, or other off-roading vehicle to make your off-road trip unbeatable. 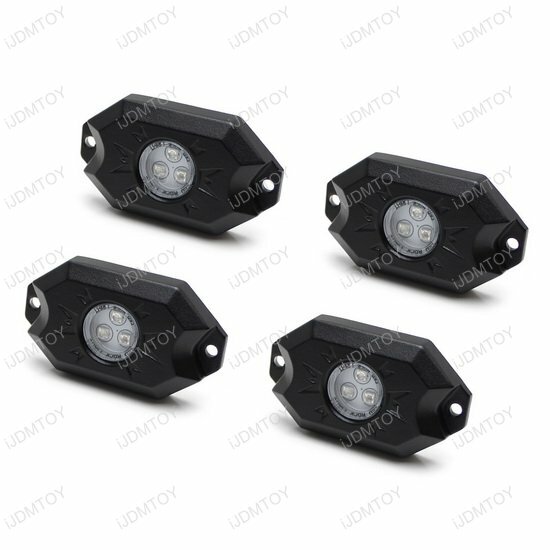 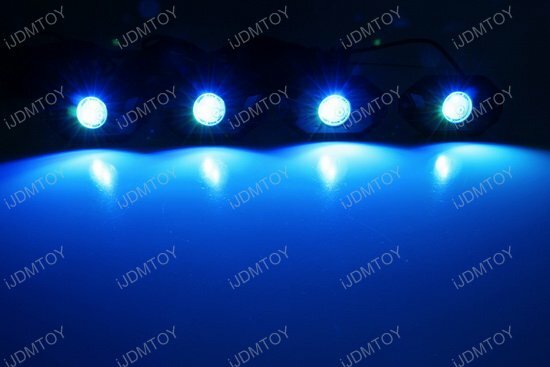 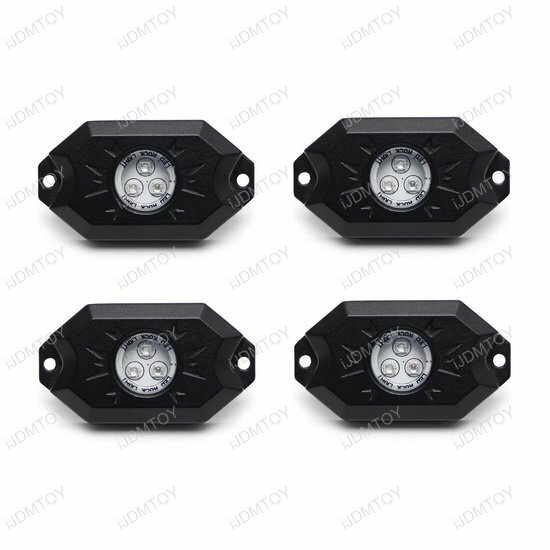 Each kit comes with 4 pieces of LED Rock Lights that are IP68 waterproof, as well as screws, extension wires, and a separate rubber base with optional installation. 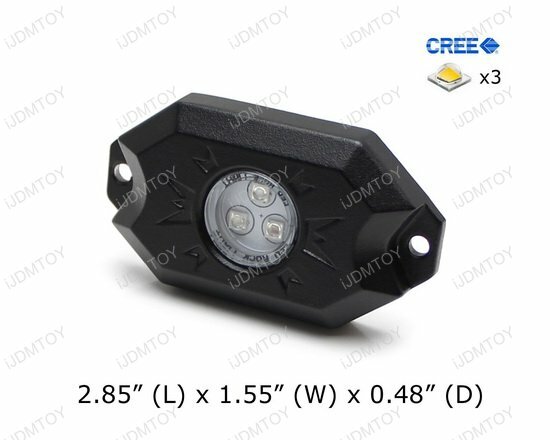 The 9W CREE LED high powered output will no doubt illuminate your way through the toughest off-road trail. You will definitely notice the full-metal assembly and the essential durability that must be a standard of LED Rock Lights. 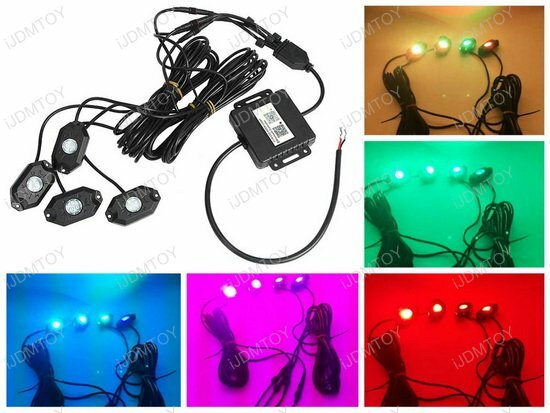 Every single LED Rock Light in the kit comes with its own wiring to complete the installation. 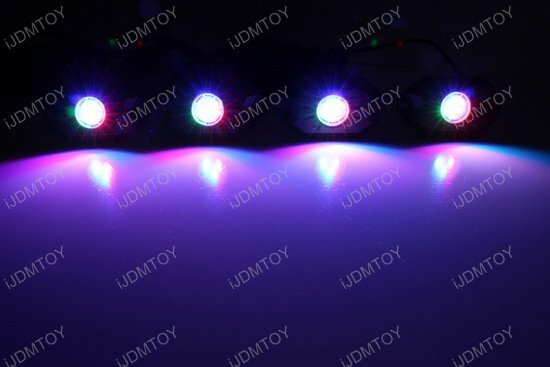 Note: If your phone does not have Bluetooth capability, you can still manually control the colors and pattern change with the special tab on the RGB LED module box.